When a new inmate steps behind the walls of a prison in Georgia, the entirety of his or her criminal record and mental state is fed into a complex algorithm called the Next Generation Assessment. The NGA just might be the future of America’s criminal justice system. This algorithm considers an inmate’s age at first arrest, the types of crimes he committed, his mental-health and substance-abuse history — in all, more than 300 variables about him. It then generates a score that predicts that inmate’s risk of re-arrest within three years. This algorithm also determines needs — e.g. education, employment, and mental-health treatment — to help prison officials decide which programs in which to enroll him during incarceration. Such front-end intervention is intended to make an inmate much less likely to return to crime when he eventually is released from prison. 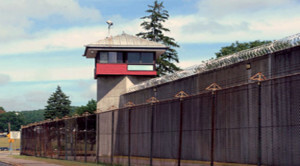 Although Georgia is considered a leader in this new reform movement, the NGA is one of several new tools and reforms designed to make prisons more efficient, with a goal toward reform. After three decades of the most massive incarceration program since slavery, America appears on the precipice of a wholesale transformation of its criminal justice system. He also said, “In too many places, Black boys and Black men, Latino boys and Latino men experience being treated differently under the law.” African-Americans and Latinos compose 60 percent of the U.S. inmate population, although they make up just 30 percent of the population. Typically, divergent forces across the U.S. political spectrum appear to have agreed that ongoing mass incarceration is bad for business and bad for America. Members of Congress from both sides of the aisle have begun to co-sponsor legislation to limit mass imprisonment. Also, Republican-controlled legislatures in such places as Georgia and Texas have begun to pass laws aimed at curbing prison populations. (R – Texas), a former Lone Star state attorney general and Supreme Court justice, is an original co-sponsor of the Sentencing Reform and Corrections Act, introduced on Oct. 1. Although the bill would reduce sentences for some non-violent drug offenses and give judges more leeway with lower-level drug crimes, it would also allow reduced sentences for well-behaved prisoners and bolster rehabilitation and job-training programs for inmates. This country is “coldly efficient” at locking up Americans, said then-U.S. attorney general Eric Holder. Although this nation represents just 5 percent of Earth’s population, it incarcerates almost a quarter of the world’s prisoners, according to the U.S. Justice Department. In 1980, a half-million Americans were behind bars. Today, that number is 2.2 million. Another 9 million to 10 million people cycle through America’s local jails annually. Some of these prisoners return to jail after being freed. About 40 percent of former federal prisoners and more than 60 percent of former state inmates are rearrested or have their supervision revoked within three years after release, the Justice Department estimates. Two factors seem to be driving this reform movement: a sense that America can no longer afford mass incarceration; and social-science data proving that inmates can be rehabilitated and steered toward redemption via education and drug-treatment programs that wind up much cheaper than repeatedly imprisoning the same offenders. Effective intervention programs typically reduce recidivism by about 10 to 15 percent and sometimes as much as 20 percent, criminal justice analysts have found. Given America’s annual per-inmate cost of about $31,000, these programs could save hundreds of millions of taxpayer dollars every year. Mass incarceration cost the U.S. $80 billion in 2010 alone, according to federal data.